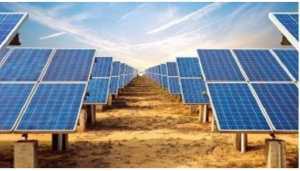 Minister for Coal, Railways, Finance and Corporate Affairs, Piyush Goyal, stated on Monday that the India’s solar power generation capacity would nearly double by the end of current fiscal year. 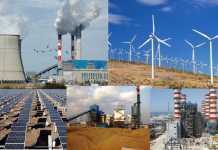 Country will exceed its target of 175 GW in renewable energy and reach 200 GW by 2022, said Minister to UNI. Goyal also informed about the introduction of solar power for cooking as it is more efficient and environment-friendly at an interactive session organized by the Indian Chamber of Commerce (ICC). Minister emphasized on various flagship schemes such as Direct Benefit Transfer, Pradhan Mantri Ujjawala Yojna, Jan Suraksha Yojna, and Pradhan Mantri Jeevan Jyoti Yojna to state the importance of these schemes to empower the poor and marginalized people of the country. He specifically mentioned about the UJALA (Unnat Jyoti by Affordable Electricity for All) scheme which has provided India world recognition for its energy efficiencies initiatives as over 900 LED bulbs were distributed under UJALA across the country in last four years.